TVS Motors has tasted success with the Apache 310 sports bike. The fully faired motorcycle is becoming a strong seller since its launch, with monthly sales nudging the 1,000 units mark. 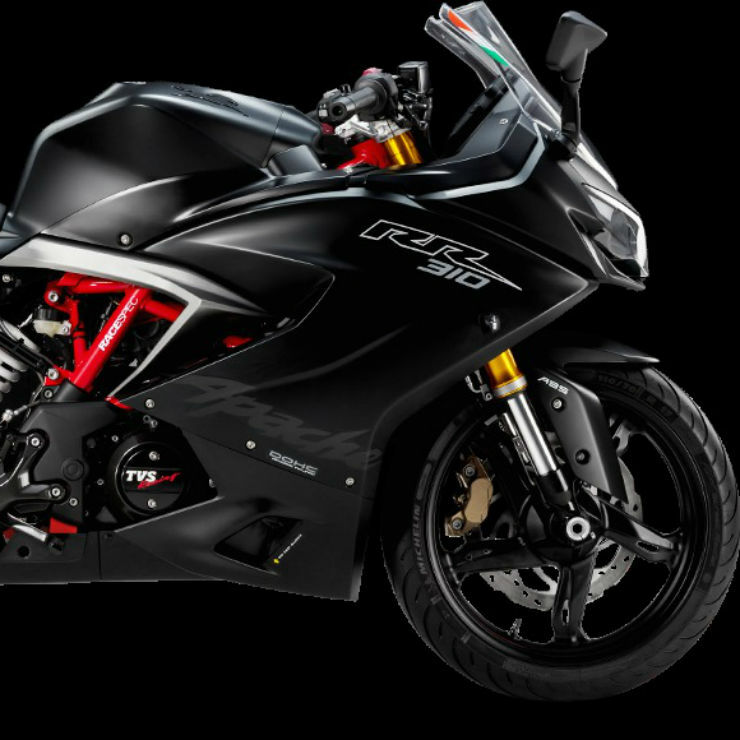 TVS Motors planned to sell 10,000 units of the Apache RR 310 in the first year of production, and the motorcycle maker seems well on course to achieve that. First unveiled in December 2017, deliveries of the Apache RR 310 began from January 2018. The motorcycle has sold about 3,000 units until April 2018, and sales momentum has now picked up further to 1,000 units/month. TVS expects sales to further increase due to the various customer engagement activities the brand has lined up over the next few months. We are happy with the positive response to the TVS Apache RR 310 in the last few months. The feedback on the motorcycle has been very good and we believe that this positive response will continue and the Apache RR 310 will establish itself as a strong player in the super premium motorcycle category. Today, the Apache Owner’s Group (AOG) has an active rider base of over 3,000 owners. These groups of racing enthusiasts that we have created for TVS Apache will grow further as we expand our base of owners. Another unique initiative to reiterate the brand’s racing legacy is the TVS Apache RR Cup, where professional racers ride and compete in five rounds on race-tuned TVS Apache RR 310 motorcycles. The TVS Apache RR 310 is the first motorcycle produced from TVS Motors’ partnership with BMW Motorrad. The motorcycle is built in India, and is based on a BMW-designed 311-cc, reverse inclined four-stroke engine. This liquid-cooled, fuel-injected single cylinder engine produces 34 Bhp-28 Nm. The engine is mated to a 6-speed manual gearbox. The suspension on the Apache 310 consists of telescopic front forks and a monoshock rear. The motorcycle offers twin disc brakes with dual-channel ABS as standard. As for pricing, the Apache RR 310 has been pegged at Rs. 2.23 lakhs, ex-showroom Delhi. It competes with the KTM RC 390.